Tea Tree Oil is an miracle fluid for acne prone and oily skin. No wonder it is being used in most of the anti acne products. It is always recommended to use tea tree oil as a spot application for pimples and blemishes. But along with such application you can also use tea tree oil based products to get the faster results. Tea Tree oil does not only clears the blemishes but it also controls the excess oil secretion to give a matte and oil free look for hours. If you have oily and acne prone skin then you can definitely include the tea tree based products in your skin care regimen. How about using the tea tree oil based face wash ? Face wash is the first step to start our skin care routine. Hence it is beneficial to cleanse the skin with the goodness of tea tree oil. As you all know that tea tree oil is rich in anti bacterial, anti fungal, anti microbial and anti inflammatory properties. It would help you to achieve the clear and blemish free skin in long run. 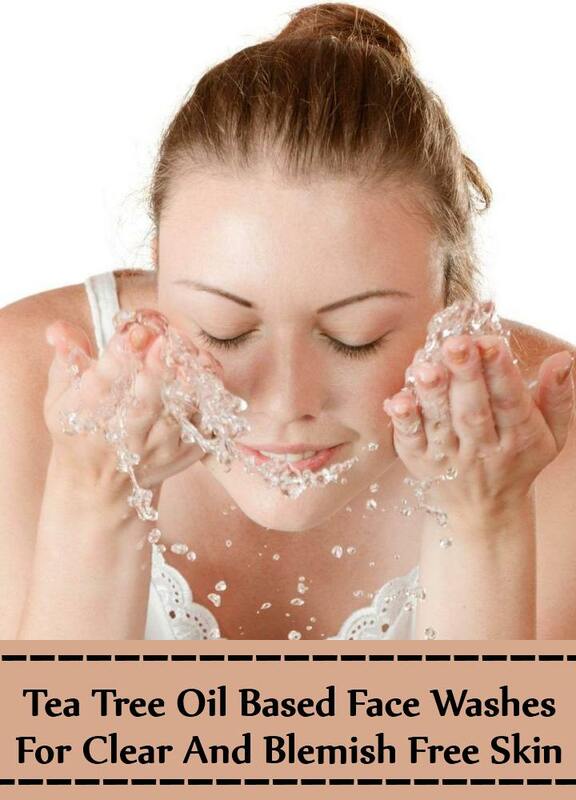 Have a look at some best tea tree oil based face washes you can try. Wash away all the impurities and dirt with the goodness of Tea Tree oil and Green Tea. 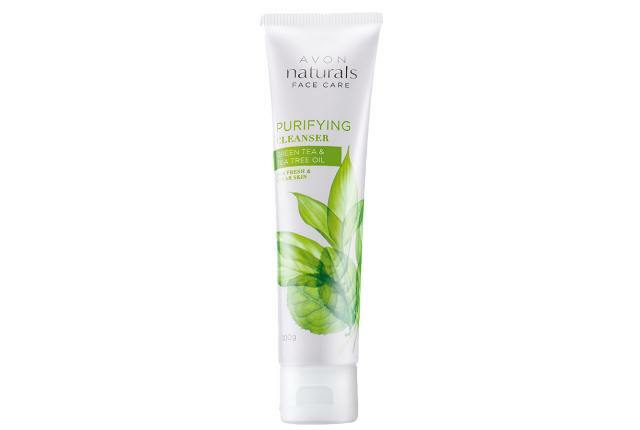 Avon Naturals Green Tea and Tea Tree Oil Purifying Cleanser contains green tea extracts and tea tree oil that instantly refresh your skin and reduce the excess oil to give your skin a shine free look. It claims to purify the skin and keep it oil free for up to 5 hours. It also exfoliates your skin and keep your pores clean by leaving a cooling sensation in to your skin. Looking for a deep cleansed and oil free look ? Dr. Batra’s has a solution for you. 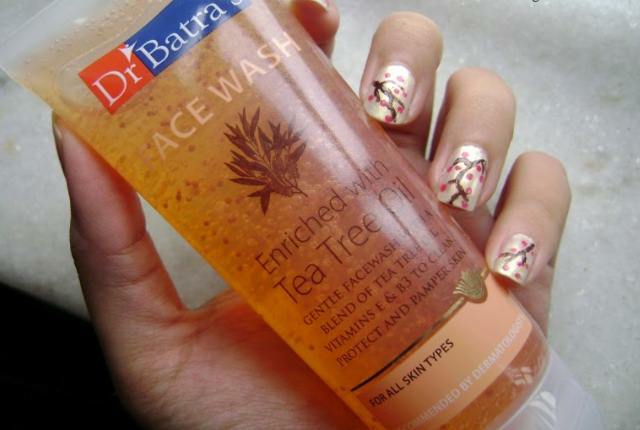 Dr. Batra’s Face Wash Enriched Tea Tree oil deep cleanse your skin and fight with blemishes as well. Its Vitamin B3 content keep your skin protected from environmental damage and sun exposure while the Vitamin E which is also known as an anti oxidant repairs the damaged skin cells and soothe it. This face wash claims to give you a clear, blemished free and instantly glowing skin with every wash. 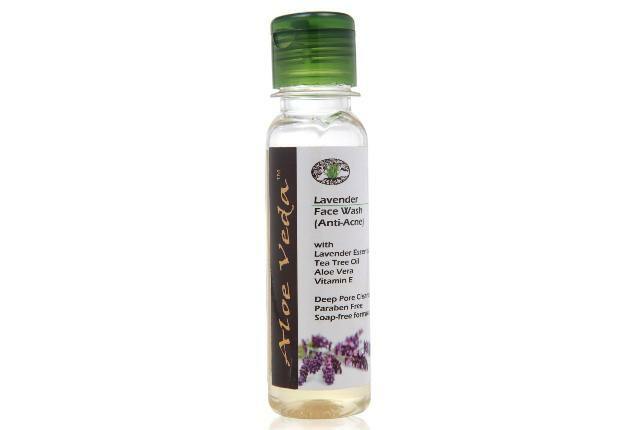 This anti acne oil control is for you if you are suffering from frequent acne and oily skin. 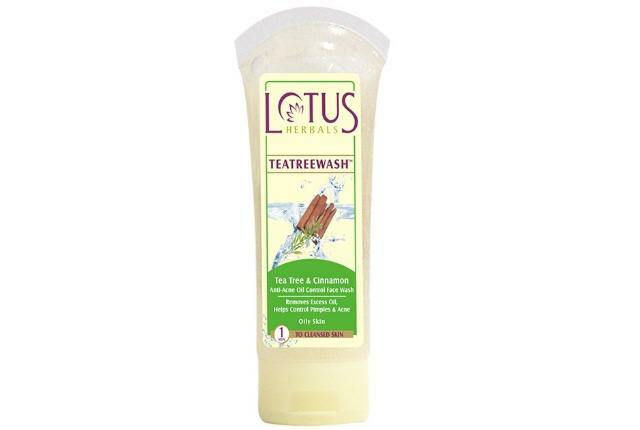 Lotus Herbals Tea Tree & Cinnamon Oil control face wash comes with the goodness of Tea Tree oil and Cinnamon extracts that results into oil free look for longer hours. Its oak bark extracts works as a natural astringent and healer that soothes the skin irritations and shrink the large skin pores as well. Hence as a result one gets clearer, oil free, pimple free and blemish free skin. Use Twice a day to wash your face and experience the results. How about washing your face with the goodness of tea tree oil and lavender oil? Sounds amazing. Aloe Veda offers a face wash with Lavender extracts and Tea Tree oil extracts which work effectively on your acne to diminish the acne causing bacteria. It effectively cleanses the dirt, sebum, excess oil, dead skin and toxins from your face to reveal the naturally cleansed, clear and glowing skin. It has natural ingredients and does not contain paraben. Here comes the best entry. 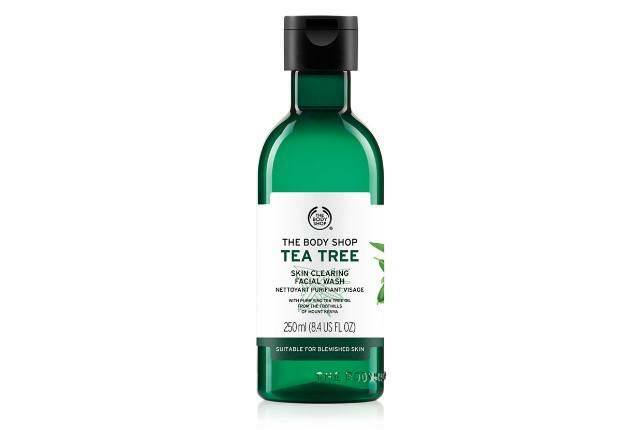 The Body Shop Tea Tree Skin Clearing Facial Wash is quiet popular among most of us. This anti acne facial wash comes with a organic purifying tea tree oil which is great for washing away the excess sebum and impurities from your skin by retaining the natural moisture of your skin. Use this tea tree oil facial wash daily to get clear looking skin.